The energy storm used amusement/playground rides is a thrill rides. 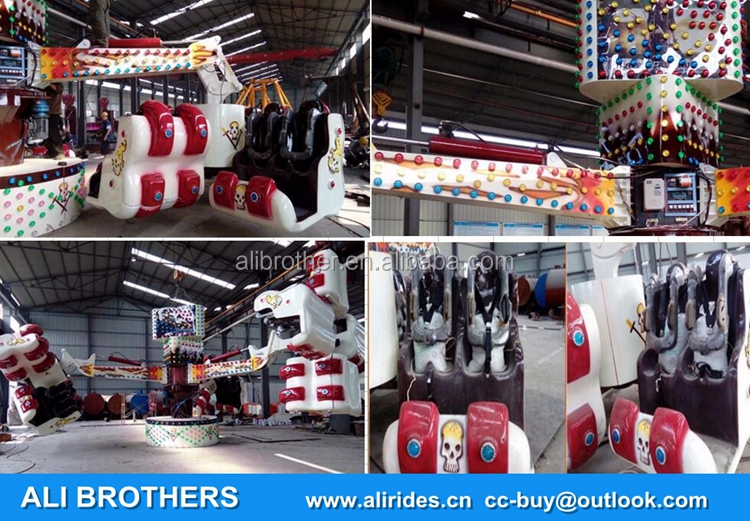 It has very amazing movement amusement equipment, to make riders feel very different and fantastic thrilling experience. 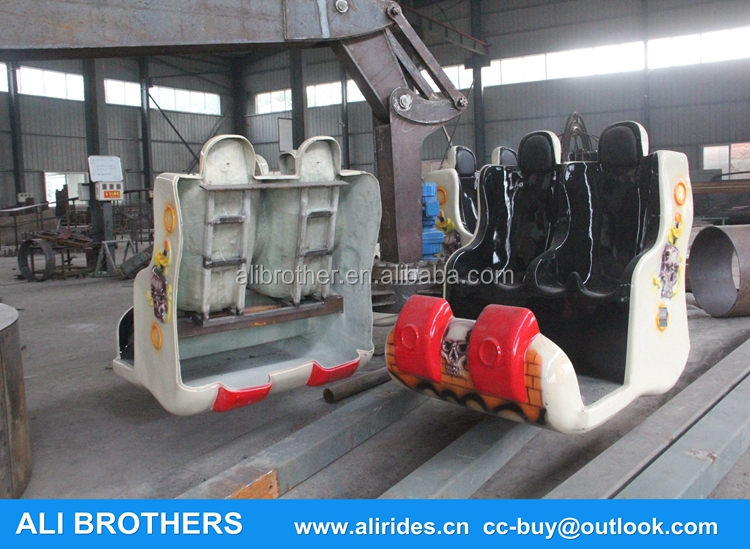 The rides seats are made by different groups, each seat can hold 2 riders, normally there are 3 or 4 line seats of one group. Our basic configuration is for 24 riders play, if you have different requirements according to your local situation and place. 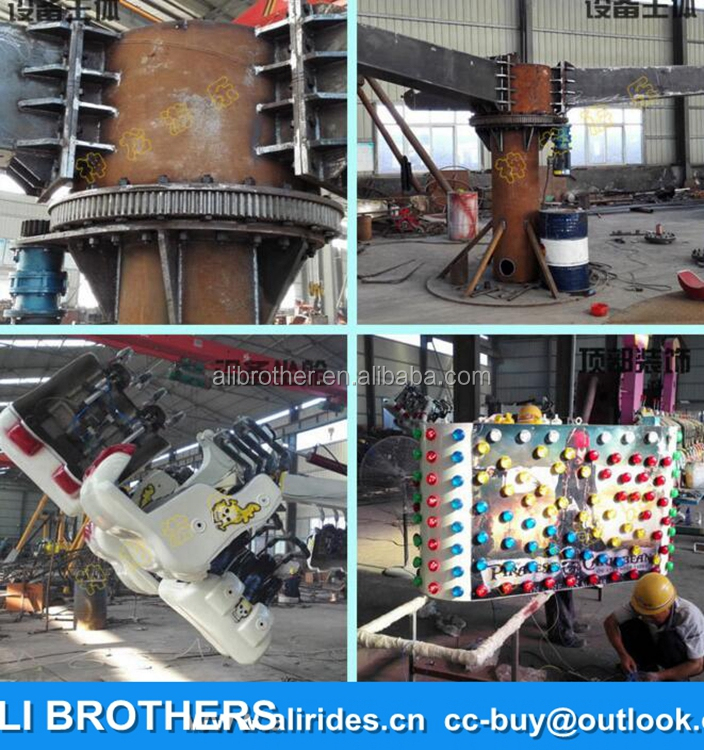 You can tell us beforehand, we also can do the customized per your requirements. But better the seats number over 18 riders. Next, we would like to introduce the movement of this energy storm rides. At the beginning, the overall rides are rotating in horizontal level. Meanwhile, each seats group also in horizontal rotating. Then the seats arms climbing up gradually and every seats group keep rotating non-stop. When the arms lift to its highest points, every seats group is turning over as upside down (that is to say very riders are head down to the ground). Meanwhile, each groups still keep rotating and descending to the ground. 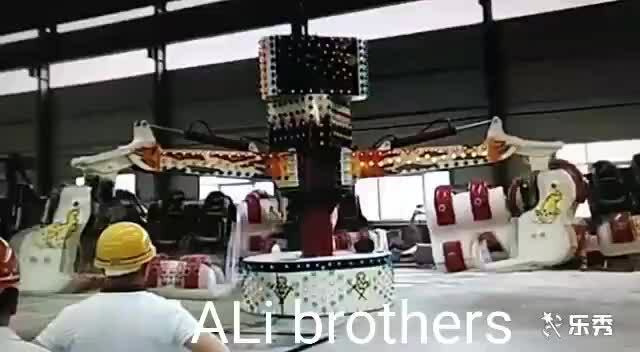 So during the whole movement, riders can feel happy and relax to be lift to the upmost point, then turned over with very strong impaction as upside down in consist rotating status. So all rider have ever experienced the thrilling and exciting moment. Energy Storm equipment is a outside big thrill rides, which can attract many young people for playing. And also this rides very attractive in appearance; people can find it in very far distance. And this rides can help you sell a higher price ticket and help you earn money back very soon. It is a not bad choice for a new park or fairground. Thanks!